James Morris is a PhD student at the School of Political Science and International Studies, University of Queensland. His study focuses on identifying patterns of child soldier recruitment within the Middle East, with the aim of developing strategies for preventing child recruitment which can be employed by security, political, and humanitarian actors worldwide. James’s other research interests include international security, international relations of the Middle East, post-colonial African history, and genocide studies. In particular, his work examines the role and depiction of children and youth in armed conflict and their position in international law. 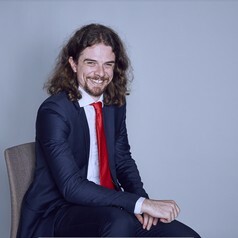 James is also a CELTA-qualified English as a Second Language teacher, with teaching experience in both General English and Academic English classrooms.